Here is the cover of the final volume of Card Captor Sakura ~Nakayoshi 60th Anniversary Edition~! It goes on sale tomorrow in Japan. Finally, we have Syaoran and Sakura! The cards will be in the same size as the books (B6) and the special sleeve will hold them all. At first, one might think the special limited edition has a new cover, but that’s not the case. 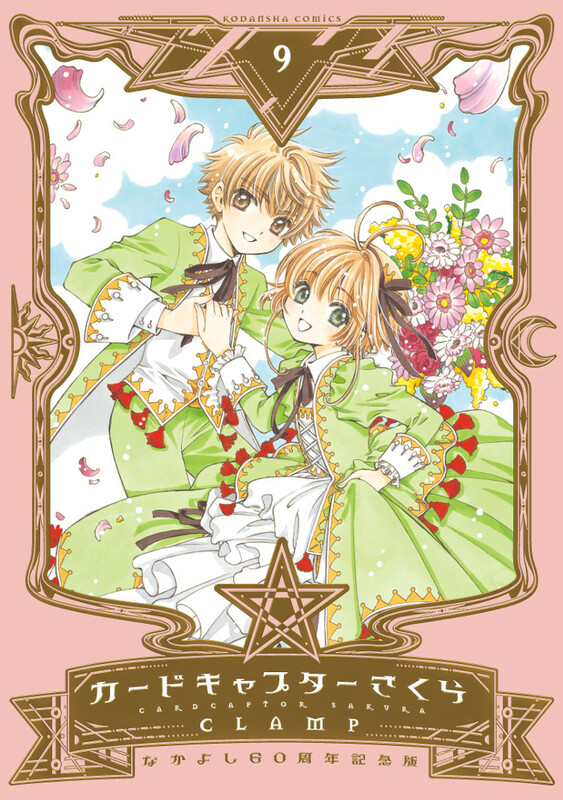 Both versions (regular and special) has the same cover illustration, with Sakura and Syaoran. The new illustration you see above it’s actually from the transparent sleeve that is placed in front of the regular Sakura and Syaoran cover — beautiful new illustration, by the way, and it’s actually Sakura alone for the first time in this special edition. Thank you for the extra info about the sleeve cover, it feels so obvious now that you said it, but before reading you post I hadn’t noticed at all! I’m looking forward seeing the 12 cards, and personally, for the 2 last “mystery cards”, my guess will be the ‘obvious’ choice: cards of vol09 cover+sleeve case. It’s so beautiful that sleeve case I am glad I ordered the special edition. That’s a very good guess! In fact, I guess the illustration of volume 2 has been chosen because of all the stars. It is a “kira cardo” and all the stars are golden and shine. It is really pretty, like the sleeve illustration on a sort of “tracing paper” really strong.